"Sorry to hear of Mona s passing it's been many years since..."
"Hugs to all. 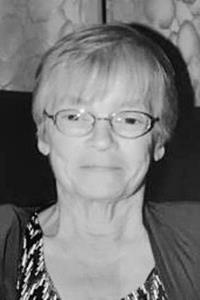 We will miss the phone calls updating us on..."
BUXTON - Ramona Mae Lambert, 67, died on March 11, 2019, in Portland, surrounded by her family. She was born on Aug. 6, 1951, in Minneapolis, Minn., to Jack M. Billingslea and Mae L. (Wah) Billingslea. Ramona was employed in the manufacturing field, working for IHEC, Corning, and Whatman. During the summer months she enjoyed cookouts with her family. Ramona loved watching movies with her husband, Tommy, enjoyed her family's Super Bowl parties, going to yard sales and flea markets, fishing and playing computer games. When she wasn't spending time with the adults, she could usually be found spending time with her daughter, Bridget, or playing with the grandkids and great-grandkids. They truly lit up her world. She was predeceased by her parents; and sister, Janice Tabone. Ramona is survived by her husband, Tommy Lambert; daughter, Bridget Lambert; sons, Jay Parker Sr., and Jon Lambert; daughter, Vicky Whisnant; as well as 15 grandchildren and nine great-grandchildren. A celebration of Ramona's life will be held at 10 a.m., on Saturday, April 20, 2019, at the Cape Elizabeth Church of the Nazarene, 499 Ocean House Road, Cape Elizabeth, Maine, 04107. Those who wish to send flowers may direct them to church for delivery between 9 a.m. and 10 a.m., on Saturday. Arrangements entrusted to Hobbs Funeral Home, 230 Cottage Road, South Portland. Online condolences may be expressed at www.hobbsfuneralhome.com.